WHAT TO EXPECT Arisaig has some sheltered coastline that is perfect for a family day out sea kayaking. On a family sea kayaking trip we will journey along the Arisaig coastline looking for Seals, landing on beaches and just having a good time exploring. These trips are exclusively for families - we'll keep the pace relaxed, take a few breaks and make sure you all have a great time on the sea. If your kids are older, sporty and confident then they may be able to paddle their own kids sea kayaks, we also use double kayaks so that parents can join younger kids. Please read the trip information at the base of the page on kayak trips with families before booking this trip. Most families will wish to book our shorter kayak tour trip, however if you have sea kayaking experience or are keen for a longer trip in sea kayaks then this trip may suit you better. HOW FAMILY DAY TRIPS WORK These trips run on request. Either feel free to get in touch with your preferred dates OR book onto one of the group family day trips on the booking calendar on this page. Small group family trips for adults and kids. If your kids have sea kayaking experience and/or they are older than 12 then you could also join one of our regular Arisaig day trips instead if you wanted. Paddle at a relaxed pace in a group made up of families only. 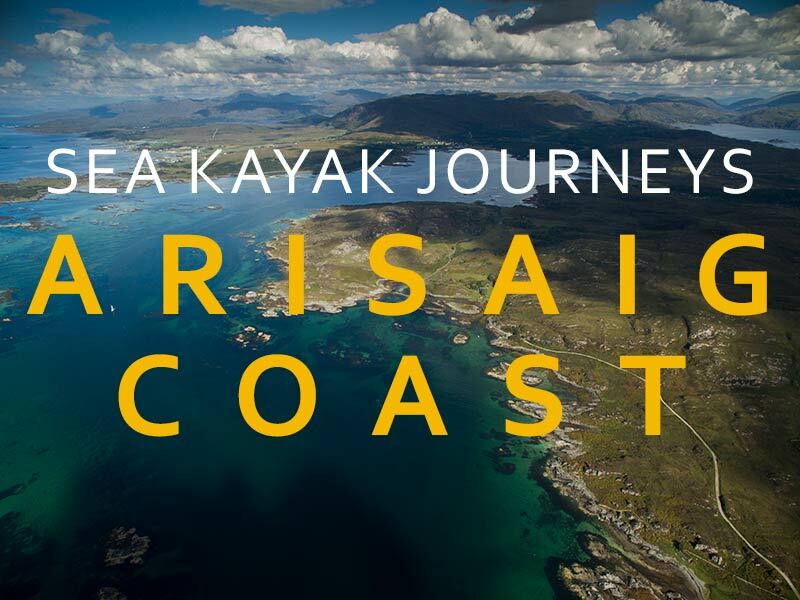 Our guides choose where to paddle based on their expert knowledge of the Arisaig coastline and the sea conditions. KAYAKS We use single or double kayaks. Doubles are incredibly stable and are great for most kids and adults or if you just want to share the paddling. START AND FINISH All trips meet at 09.45 (please don't arrive more than 10 mins early) at Arisaig sea kayak centre, Arisaig village, PH39 4NH. If you have booked a private trip we can arrange to meet elsewhere. EXPERIENCE REQUIRED No experience required - our trips are suitable for beginners. If your family is completely new to kayaking and you have kids under 10 then we'd suggest coming on our kayak tour instead. We mainly use double sea kayaks, with an adult in the back of the kayak and a kid in the front, these are used for kids who haven't been sea kayaking before or are more nervous or generally for most kids age 12 and under. For a kid to paddle their own sea kayak then they need to be fit and confident enough to keep up with adults paddling on their own. Due to the smaller muscle mass and lighter weight of kids under about 12 then they would usually struggle paddling their own kayak. Every kid is different though and this is just a general guide. No - you have to bring your own lunch, there is a shop next to our base if you need to buy food. Other families if a group trip. Most of our family day trips are bespoke - just for your family if there are 6 or more of you. Will I develop sea kayak skill and knowledge? Although our trips are primarily about guided experiences, you will also learn as part of the journey. A lot of learning about sea kayaking comes from experience and is best done as individuals on the move and in context. We won't spend time on long instructional briefings or static group skills practice but will give you little hints and tips on the journey to make it easier for you and suggest improvements to your technique as we go along.